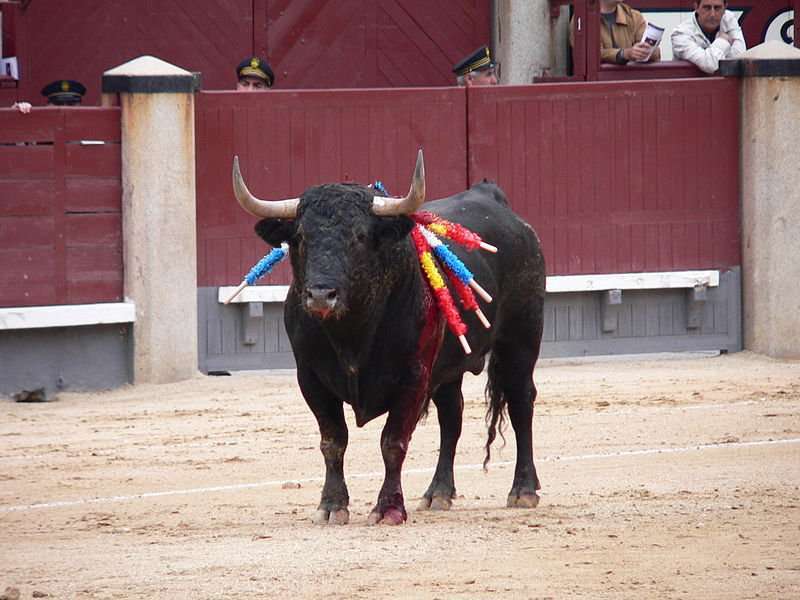 A sport which involves a physical competition between a bull and a human is bullfighting. 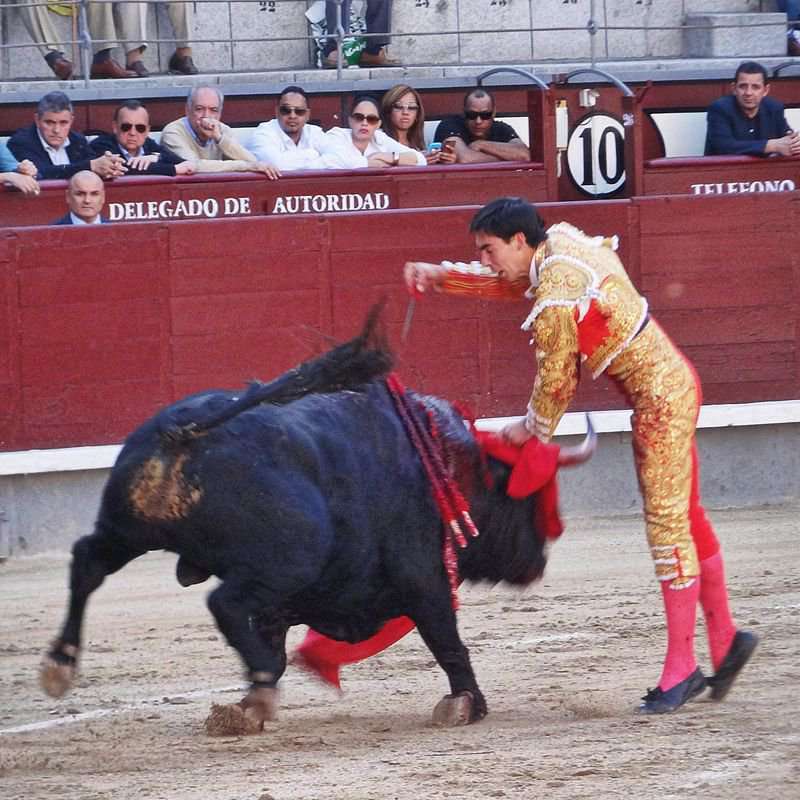 In this sport, humans attempt to subdue, immobilize or kill a bull, mostly according to the set guidelines, rules or cultural expectations. 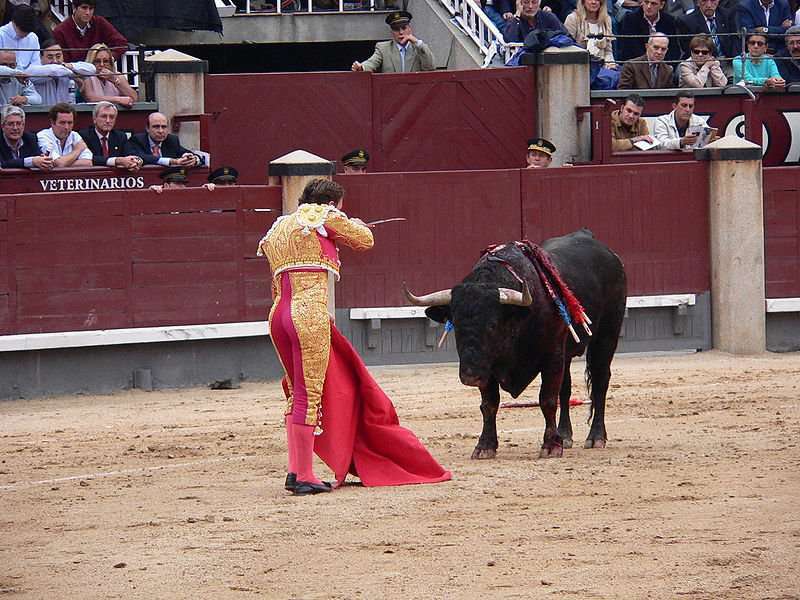 Although the most common and well-known form is the Spanish-style bullfighting, there are various forms in different locations around the world. 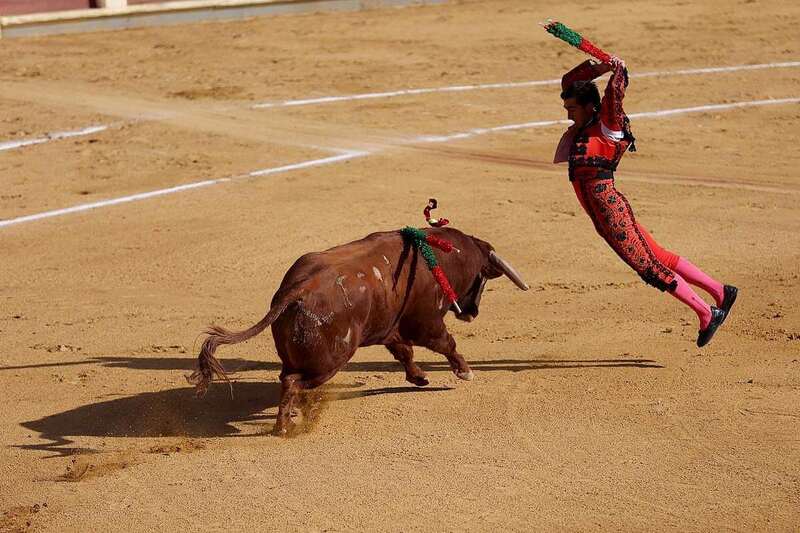 Some of the forms of the sport involve dancing around or over a bull or cow or an attempt to grasp an object from the animal. 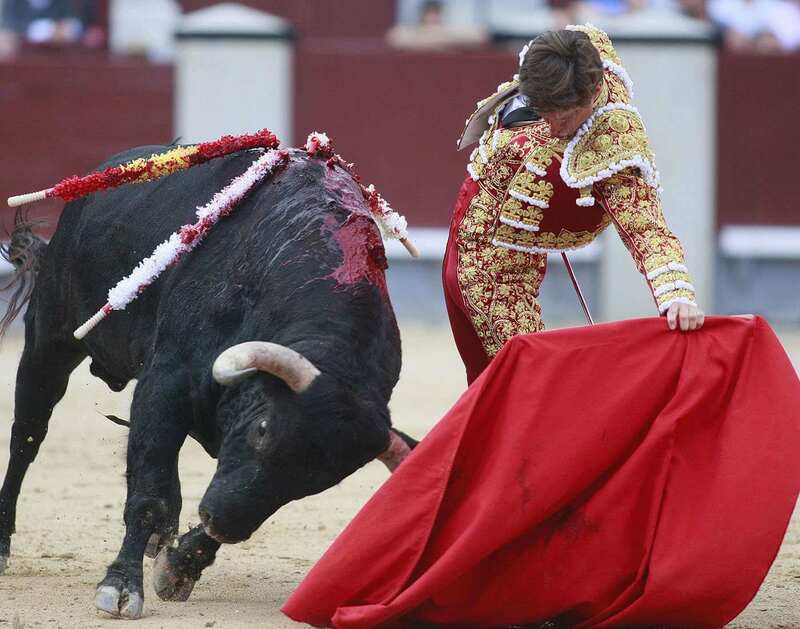 The sport has its roots to the prehistoric bull worship and sacrifice in the Mediterranean region and Mesopotamia while the Epic of Gilgamesh may be the first recorded bullfight in which Enkidu and Gilgamesh fought and killed the Bull of Heaven. 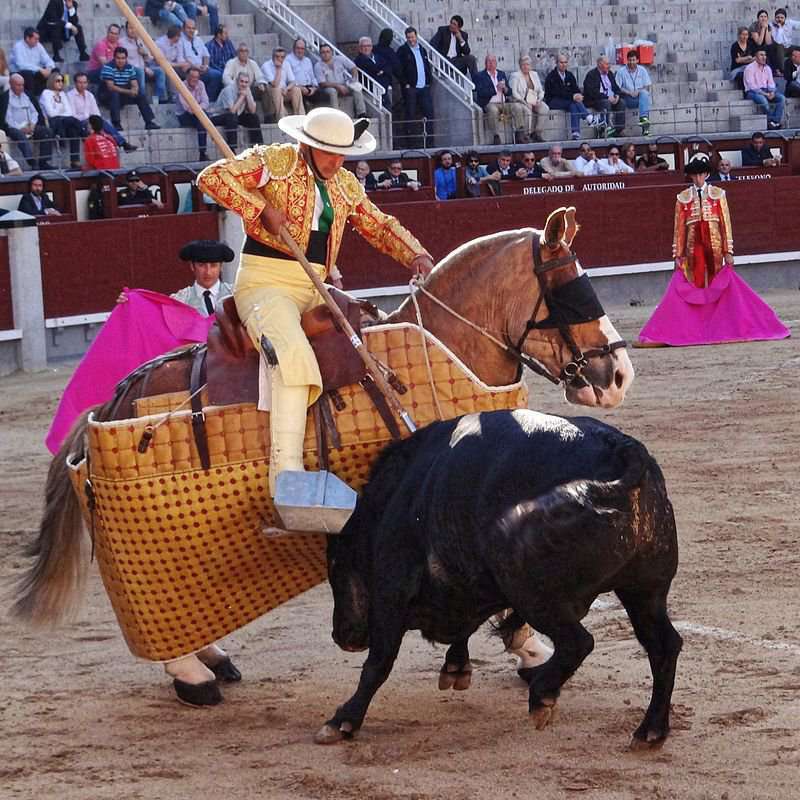 The sport is a traditional event of many countries like Spain, Portugal, parts of southern France, Tanzania and India (Jallikattu in Tamil Nadu) few of the Latin American countries. 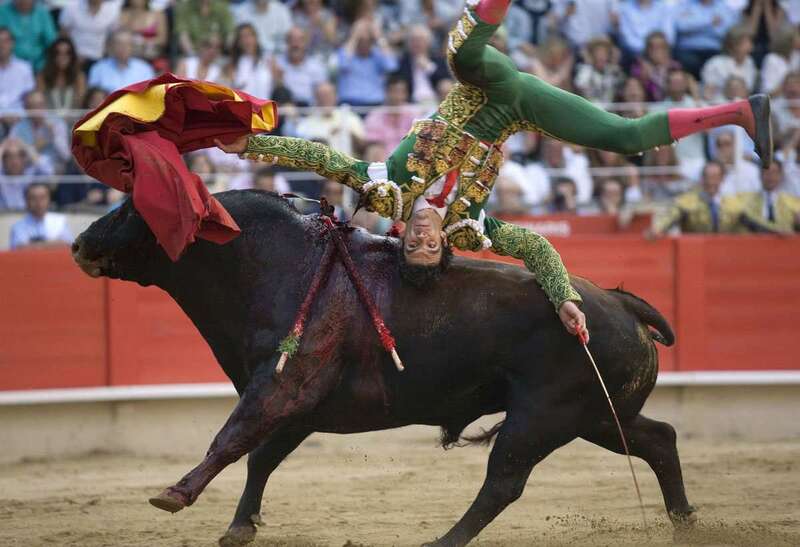 In Spain, the sport is known as "La fiesta nacional" which means "the national festival". 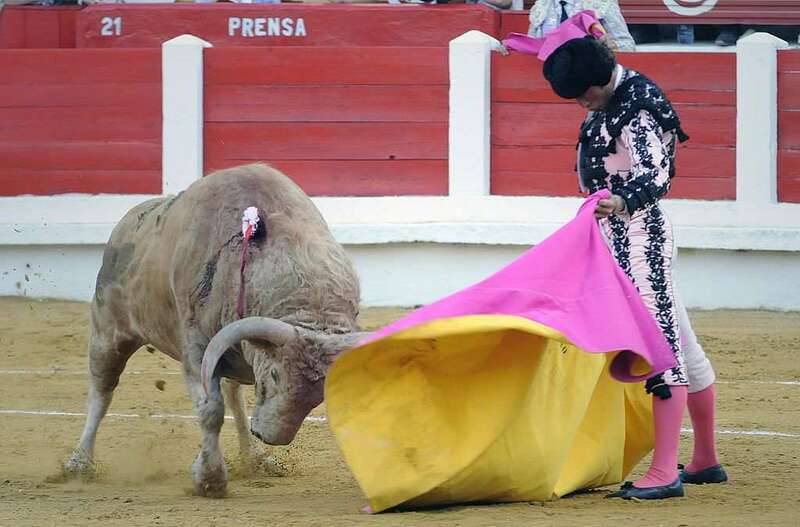 In some places, bullfighting is considered as a cruel, barbaric blood sport in which the bull may die in a slow, torturous death at the end.  So, it is now banned in many countries.